This was a collaborative project with Ronald Chang, Stephen Cook, and Chris Taschner within the School of Design and the School of Public Policy and Management. Inspired by Pittsburgh mayor Bill Peduto's 100 Days; 100 Policies to Change Pittsburgh, we focused on energy benchmarking and energy disclosure in multi-residential buildings. As it currently stands, there are no energy disclosure laws in Pittsburgh due to many problems: an elderly population, low development of new buildings, and an outdated paper-system for energy disclosure. Energy benchmarking is important in order to gauge a city's energy usage to create further steps towards saving energy. NGO's such as Pittsburgh 2030 and ReEnergize Pgh are making attempts at improving energy usage in the city. Many cities across the US have enacted energy disclosure laws, taking small steps in Pittsburgh can help push for putting these laws into place. 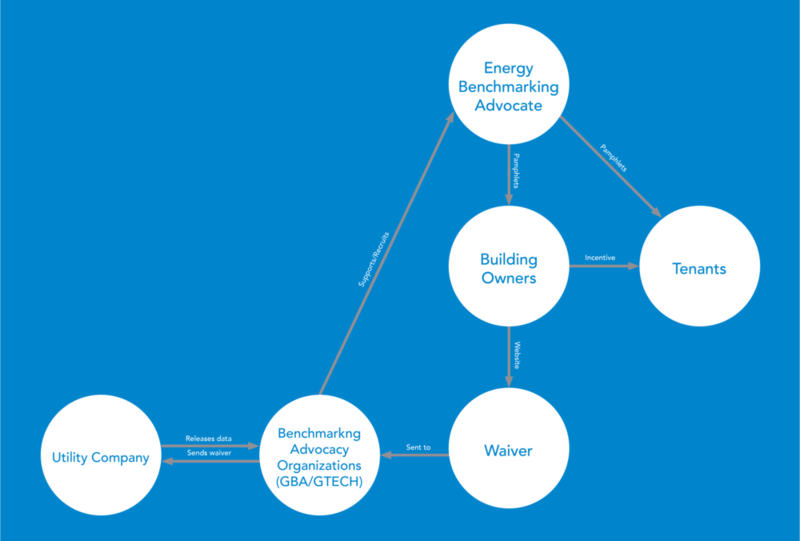 Through our research, we discovered part of the difficulty of encouraging energy benchmarking without any disclosure laws were multi-residential buildings. In order for a building with many tenants to disclose their energy, every party has to sign a waiver for the landlord to submit to the power company. This can be difficult, as there is not much time or resources to go door-to-door in, for example, apartment buildings. Openvolt is a system to easily encourage building-wide energy disclosure. A series of print materials and an online E-Waiver were developed. See openvoltpgh.com for the full experience. 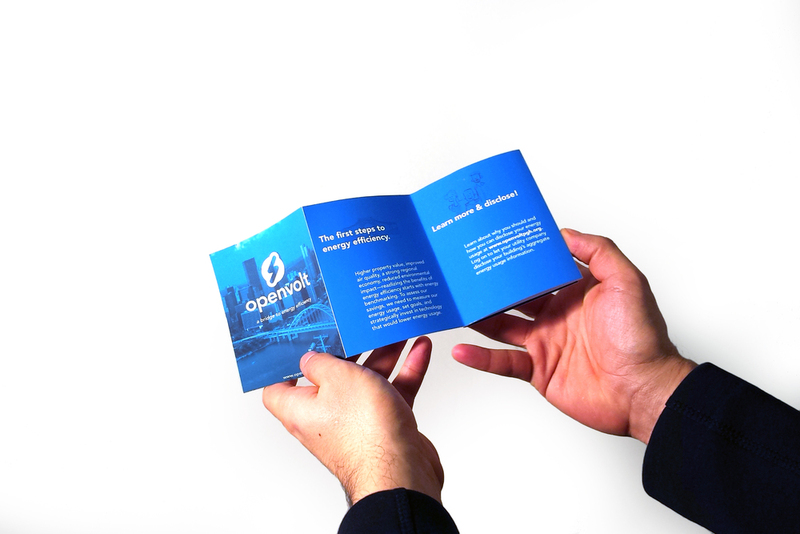 Pamphlets are distributed to building owners in order to being energy benchmarking in their property. Being an Openvolt Building encourages a rise in property value and future interests as a "green building"
How does Openvolt work as a sustainable system? We focused on a building owner and two student tenants. 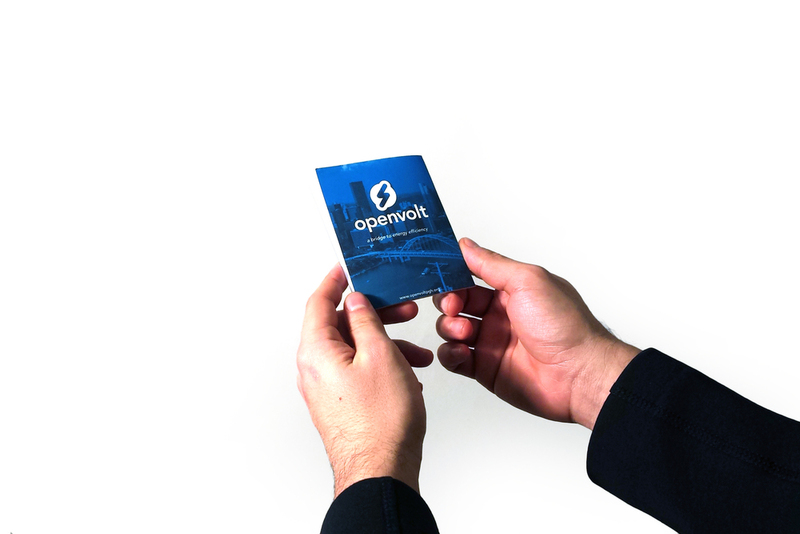 Who is relevant to Openvolt and how do they connect to each other? We interviewed key people in Pittsburgh's push towards energy efficiency. 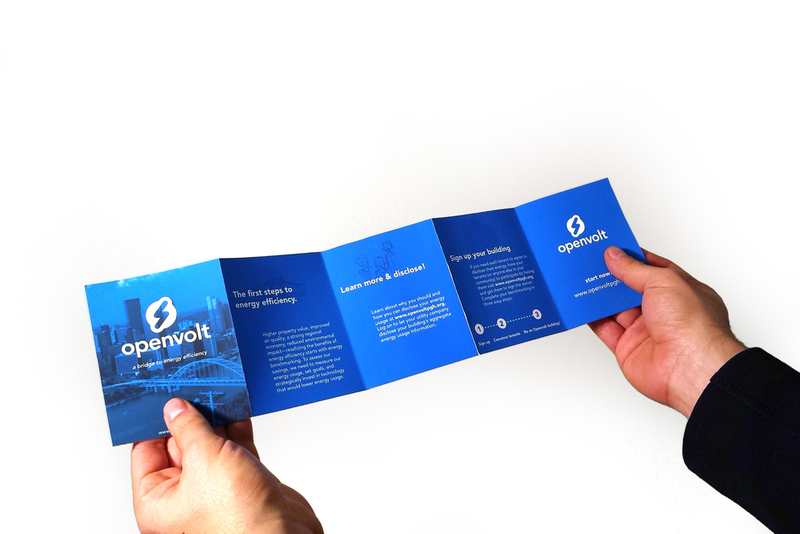 Where can Openvolt impact Pittsburgh currently and in the future?